DO YOU REALLY NEED A TOOTH EXTRACTION? Tooth extraction is rarely the first recommendation for dental treatment; however, when restorative dentistry cannot repair and save a tooth, extracting it might be necessary. Usually, the process is simple; after administering local anesthesia, Dr. Anderson or Dr. Milden will carefully dislodge the tooth and remove it from its socket. In some cases, however, tooth extraction can be more complicated, and may require minor oral surgery. Why are wisdom tooth extracted? Wisdom teeth often have the tendency to become impacted against existing molars, and can cause severe discomfort as they push against the rest of your teeth. Extracting impacted wisdom teeth is often the best recourse for alleviating the discomfort and removing the threat to the rest of your oral health. Why else would I need tooth extraction? Should I replace a tooth after having it extracted? With the exception of impacted or interfering teeth, most extracted teeth require replacement to reestablish your bite’s proper function. 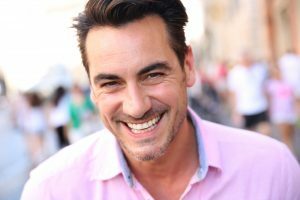 Depending on how many teeth you have lost and/or had extracted, we might suggest replacement with one or more dental implants supporting a dental crown, partial, or complete denture. If tooth extraction is necessary, then don’t hesitate, or you may put your smile at even greater risk. To find out if you need tooth extraction, schedule a consultation by calling Cedar Dental in Cedar Rapids, IA, today at (319) 364-7108. We also welcome patients who live in Mount Vernon, Iowa City, Hiawatha, and all nearby communities.